New Republican Gov. Mary Fallin signed a bill on Monday designed to lure more aerospace companies to Oklahoma by offering tax credits for salaries paid to qualified engineers. 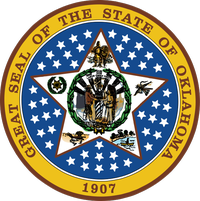 The measure, which is projected to cost the state nearly $6 million in its first year, allows companies to be reimbursed up to 10 percent of the salary paid to qualified engineers for up to five years if the engineer graduated from a university in Oklahoma. The reimbursement is 5 percent if the engineer graduated from a school outside of the state. The measure also provides a tax credit for 50 percent of the tuition cost of an employee who attends a qualified engineering program at a public institution in Oklahoma. Fallin, meanwhile, has proposed eliminating about $424,000 in state funding for the Oklahoma Space Industry Development Authority, a state agency created to help develop a spaceport facility, launch systems and other space-industry projects at Burns Flat, a licensed spaceport in western Oklahoma. Fallin said Monday that while she supports the agency’s mission, she believes it would be more efficient to merge the operations with the Department of Commerce or the Aeronautics Commission. “I’m actually working with our legislators and Department of Commerce on further continuing to market that facility, but yet also trying to figure out how we can have shared resources as it relates to the aerospace industry and especially (the Space Industry Development Authority),” Fallin said.